Ah, memory lane. I’m left reminiscing of times past every time I paint my nails. Perhaps because I have an uncanny (and useless) ability to rattle off exact collections, seasons and proper colour names of each polish, I am instantly reminded of what was happening in my life during that time. Example: Chanel May, Spring 2012 collection: falling head over heels, all consuming, giddy, dreamy, crazy in love (with my perfect boyfriend, who lovingly puts up with my endless nail polish spills, scattered bottles and goes above and beyond any expectation by always noticing AND complimenting my ever-changing manicure). Or Deborah Lippman’s Bad Romance, Fall 2010 collection: Getting ready to leave for an undetermined amount of time on an incredible adventure to the land down under with my best (and feeling overwhelmed trying to pack my life, nail polish collection included, into a backpack that was meant solely for necessities). But gone are the days of traditional manicures; a simple swipe of bright pink or glitter-flecked ruby isn’t so innovative anymore. In 2006, the world of nail polish was revolutionized with Minx and has been moving at a breakneck speed forward ever since. 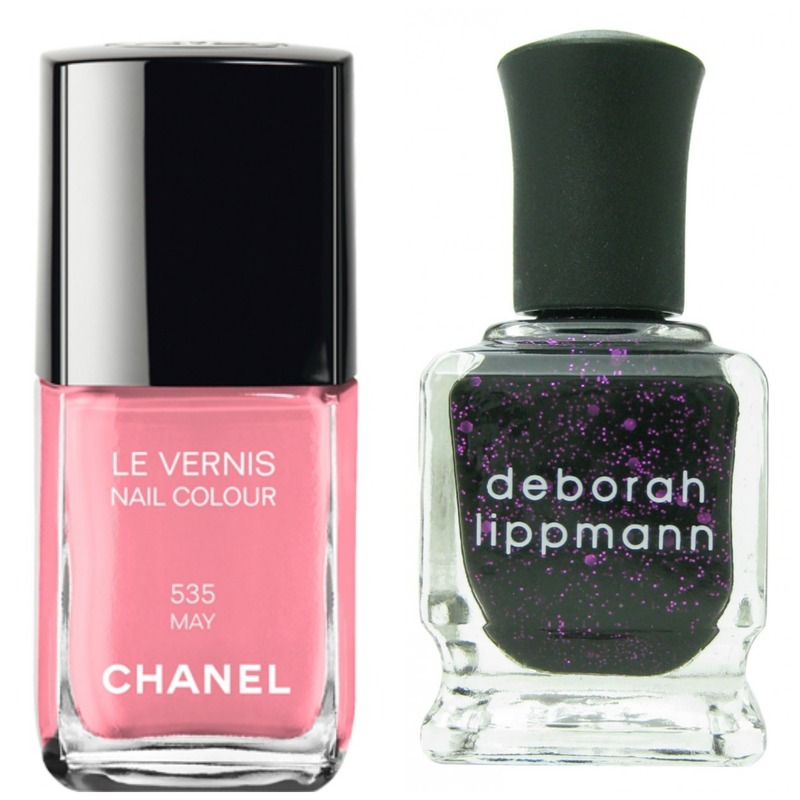 Shellac, nail art and crazy polish combos are now the norm. Ruffian for MAC press-ons, 24k gold speckled formulas and cheetah print nails are now as accessible as a good ol’ bottle of OPI. Please, don’t get me wrong; I love a classic, vampy Lincoln Park After Dark mani as much as ever, it’s just bold, avant garde tips are a piece of cake to achieve, given all the accessibility we have available to us for more artistic options. As I write this, I am currently scrubbing shimmering caviar beads off my nails. Ciaté’s gorgeous, elegant and edgy Caviar Manicure, available in white, black or rainbow, is a two step process with a mega glam result. The kit includes a matching polish colour, the caviar beads, a tray and a tiny (and adorable!) funnel, used to cleverly save the fallen caviar beads for next time. After painting the first coat of polish, the second is applied, one nail at a time, with the caviar beads being poured onto the tacky nail over the tray to catch said stray beads. 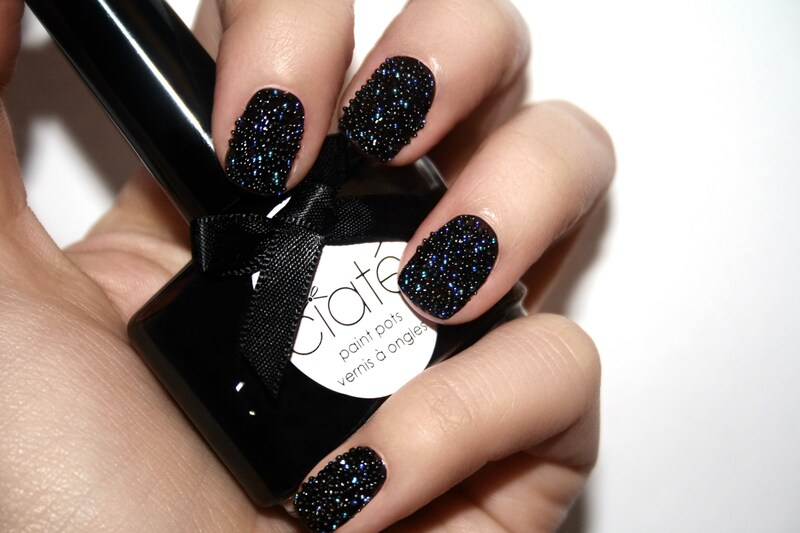 Ciaté also introduced a Velvet Manicure kit this season. My loving and stylish mom bought my little sister and I a kit each – hers navy, mine burgundy. The same process is followed, with the minor adjustment being shaking the velvet powder onto each nail and using a tiny black brush to dust off excess powder from the nail into the tray. The result is luxe, chic, and so right for the season. A few other impressively innovative manicures include a magnetic polish, with the lid being used to create a pattern, a shiny, rubber-finish polish, the explosively popular crackle top coat polish, crystal decals, and for the DIY creative types, high precision nail pens. After successfully removing all the caviar beads, I’ve decided to go with an old favourite. Nars Dragon Girl, a classic, bold red, thrills me just as much as modern nail art; hey, I’ve always been a loyal lover of modest understatement and am just beginning to dip my (Russian Navy polished) toe into the trend.